The recent emergence of crowdfunding represents a huge new opportunity for entrepreneurs to test ideas and start businesses. It is driving new innovation from entertainment and tech to apparel and charity. Some smart schools are already formally teaching their business students how to crowdfund. 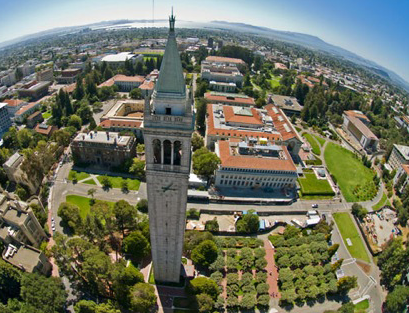 The leading example is the College of Engineering at the University of California, Berkeley. Courses at their Center for Entrepreneurship and Technology help students gain an understanding of crowdfunding practices and how to use them in the early stages of entrepreneurial finance. S. Shankar Sastry, dean of engineering at Berkeley, launched the program in 2012. His aim was to combine the school’s strong research skills and experience in technology and add these to the latest components of entrepreneurial finance. The program, led by the College of Engineering’s Fung Institute for Engineering Leadership, works to develop innovative theoretical and applied research related to entrepreneurship and the funding of small to medium sized businesses. The program’s main focus is on the most recent innovations in startup finance, using crowdfunding as a source of investment money for startups. Crowdfunding is already changing the structure of funding models for start-up entrepreneurs; this is a key issue for up and coming MBA graduates. The benefit of crowdfunding is that this type of investment offers potential not just for seed capital but also for market validation and attention from attention from larger potential investors and partners. “I am starting to see more teams pursue crowdfunding campaigns as a way of testing the consumer demand for their products before pursuing traditional investment. Crowdfunding has given the most experimental products (biotech, drone, Internet of Things, etc.) a way to prove they are not as risky as investors may originally perceive them. Crowdfunding is not displacing angel investing–I’m seeing more and more startups leverage crowdfunding as a pre-emptive due diligence tool to attract angel investors. I think we will soon see traditional investors insist that non-software startups conduct crowdfunding campaigns as a prerequisite to institutional investing.” – Ken Singer, Director of the Center for Entrepreneurship and Technology (CET) at UC Berkeley. Other schools also see the huge opportunity and are just starting to create events and curricula around it. The University of Portsmouth in UK is launching a crowdfunding institute as well. The Technology Management Program at the University of California Santa Barbara has a partner page on indiegogo, and recently co-hosted a great conference on crowdfunding with the MIT Enterprise Forum, featuring presentations by crowdfunding platforms, journalists, attorneys, and Phone Halo, a UCSB student founded business, who we interviewed here about their experience raising over $400k on Indiegogo. To gather the most up-to-date information on crowdfunding and explore these sources can be used as a foundation for starting a business, or in combination with other finance methods. To develop a solid database of relevant information related to crowdfunding investing that is readily available to academics, researchers, investors and policy makers. To stimulate cutting edge research that straddles several disciplines, including, but not exclusive to, startup finance, business management, legal and social policies. To develop an understanding if how emerging entrepreneurial markets influence social markets and create innovation. To recognize which of the thousands of crowdfunding platforms is best suited to a specific startup project. Crowdfunding is set to be a crucial component for students preparing to start up their own business. In the near future crowdfunding skills will become as vital an asset for entrepreneurs as social media skills are today. “As a practical matter, it is extremely important that students are aware of it, able to use it if appropriate for their startup. Crowdfunding is something that students in entrepreneurship, marketing, PR, communications, strategy and finance should study. They can experiment with it inside their student run startup and start building community and social media skills,” said Richard Swart, Director of Research for the Program for Innovation in Entrepreneurial and Social Finance at Coleman Fung Institute for Engineering Leadership. School can also launch their own crowdfunding portals. South Carolina’s Clemson University recently launched the own branded crowdfunding portal site www.clemsonideas.com, so that students from the MBA in Entrepreneurship & Innovation program can generate funding for their innovative ideas. The site, launched by Clemson’s MBA program and the Arthur M. Spiro Institute for Entrepreneurial Leadership, aims to allow students to take advantage of crowdfunding for early-stage companies. “We want to do everything we can to help our entrepreneurship students succeed, and clemsonideas.com is a natural outgrowth of that effort,” – Gregory M. Pickett, associate dean of the College of Business and Behavioral Science, executive director of the Spiro Institute and director of the MBA program. The Clemson Summer Leadership Program—designed to create a program to improve leadership skills, critical thinking and articulation. Cerevellum—the Hindsight35; a device designed to increase cycling safety by combining rear-view video technology with GPS functionality. Yes Beyond Limits Mission—a program to increase I.T. awareness in K-12 students and teachers using interactive computing. SouthYeastLabs—a team who are bioprospecting for new strains of yeast. Fly Formal—a range of menswear created with vintage textiles. South Carolina Defense & Aerospace Network—a program to coordinate and advocate new ventures in aerospace and defense. These portals offer a fantastic opportunity to bring University alumni back into the mix, by bringing them in as crowdfunding contributors. Many budding entrepreneurs are taking advantage of crowdfunding as an alternative means of gaining financial support rather than using more tradition means such as borrowing from banks. with a BS in bioengineering in May 2013, then went straight back into Clemson for his MS in bioengineering and MBA in entrepreneurship. Inspired by a friend who used Kickstarter as his preorder system for his first novel, Even became hooked and started finding out all he could about crowdfunding. He and his partner are now using www.clemsonideas.com to crowdfund their bioprospecting program. “My partner and I are both graduate students with limited funds. This limited our ability to bootstrap SouthYeast, but we wanted to push it as far as we could before taking on investors to preserve as much equity as we can. Crowdfunding gives us an excellent opportunity to both raise some funds and raise awareness of our company in the brewing community,” said Even. Crowdfunding has many possibilities for business graduates and can be a viable alternative to seeking employment. Even if the business is not a hit, the learning process can be invaluable. But the guys at SouthYeast Labs are determined to succeed and are using crowdfunding to help them. “The most obvious benefit [of crowdfunding] is that you can raise some capital without giving up part of your company. However it is also great as a step in the lean startup process – nothing makes the community and your potential customers more honest about your product than when you ask them to give you money for it,” Even added. Crowdfunding is set to increase in popularity as a means for entrepreneurs to startup or upscale their business and raise capital. As this happens, more schools are likely to add crowdfunding courses to their business programs, to allow students a greater potential for developing small to medium businesses. Expect to see more school’s following the lead of these early adopters. Get updates on crowdfunding news, articles, events, and free resources. 1 year ago with Comments Off on GroundFloor’s self funding campaign. Women in Crowdfunding: Can a woman finally get funded like a man? Crowdfunding ROI Pt.1 – How will investment crowdfunders make their money back? 5 years ago with Comments Off on Crowdfunding ROI Pt.1 – How will investment crowdfunders make their money back?